I'm looking to see what a new Meinl Weston 2265/2 would cost. 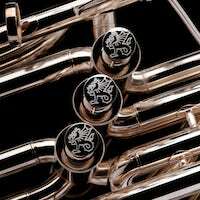 I tried contacting Meinl Weston directly, but they directed me to reach out to their individual dealers, many of which don't even carry MW tubas and if they do don't have prices immediately available. Does anyone know this price, by any chance? Also, I'm interested to hear if anyone would have a fair price in mind for a 2165 in "good" condition (some small cosmetic dents, a few worn lacquer spots, etc.) that comes with a hard case. I know that's not a lot to go off, but those are all the details I have at this time. Any links to available merchants would be helpful, too. Thank you! Call Baltimore Brass and tell them what you are looking for. I once asked them for a price quote for an off-list Meinl Weston product, and although it took a little time, they did get back to me with a price. One-offs like this will be VERY expensive. For a new 2265/2, I wouldn't be surprised if it was $25k to $30k, considering that a new handmader Baer is over $33k now! Excellent idea! I contacted them; they're looking into it. That's good to keep in mind while I wait. Thanks for your perspective, Bort! You can contact the warehouse in Jacksonville Florida, they can get you set up. I just got a hold of my friend from undergrad, now one of Buffet Crampon's regional sales representatives. He looked through their pricing books and the 2265/2 is not even present. The only 6/4 listed in there was the 6450. 2165 + Fafner bell + smaller mouthpipe (or not, as some 22's had a large mouthpipe) is about it, yes...or no? FWIW, again, I'd ask Baltimore Brass. Last year I asked for a price quote for another mothballed Meinl Weston CC tuba, and they were able to help me out. Now, the price was outrageously high... but that's how it goes when you ask for a one-off tuba build. I doubt they are making them at all if the company that owns Meinl Weston doesn't know about it. 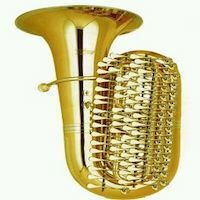 It is my understanding that the 2265 tubas were available for order through Dillon Music exclusively, though with Baltimore Brass being a dealer these days they could probably come up with some definitive information on pricing and availability as well. I suspect that now, in 2018, this will be a special order or built-to-order tuba with a price to match, perhaps non-refundable and non-returnable. These are "rare" tubas in that (as far as I know) very few of them were built and sold, even going back to shortly after they were introduced. I kind of doubt that there was ever more than one unsold and available on a shelf or in a warehouse in the United States. These days I seriously doubt that there are any on hand with a dealer or even in the US warehouse, but I could be wrong. I don't recall ever seeing a used 2265 come up for sale though there were a couple of purported 2265 prototypes sold here a few times. And yes...I'd say it's basically been mothballed along with the 2145, 2155, 2000, 2165 and a handful of other models that were once quite popular. I would bet that you could get any of those models today were you willing to pay the price and if you had a persistent enough dealer working to make the sale happen. 2265/2 apparently in Leeds, England. Peach wrote: 2265/2 apparently in Leeds, England. So how does the 2265/2 differ from the 2165? I am not familiar with the model. 2265 has bell from Fafner. Meinl Weston 2265 started with a last generation Meinl Weston 2165 then replaced the bell with a Fafner Bell and replaced the leadpipe with a slightly longer Meinl Weston 45SLP leadpipe. The "/2" does indeed mean that the branches are hand made from sheet brass. The Dillon 1185 was what I called an 11/8 size tuba with 5 valves. For those who failed basic math, 6/4 is the same as 12/8. 5/4 is the same as 10/8. The Dillon 1185 was bigger than a typical 5/4 but not as big as the typical 6/4 CC tuba. The Gronitz PCK (and Matt's better-than), again, were just about the same exact size (when set side-by-side with a Willson 3050...which probably almost never occurs). - these tubas are any smaller than they are. - because their size is nearly the same, I believe those models tubas play anything like each other. To clarify further, I would easily choose one of Matt's. Guys- There's been a bevy of requests in the last week, sirens going of, hydrants opening up, etc. First things first- thank you Matt for weighing in. 1. There is no exclusivity regarding retailers with any BCUSA product. 3. The 6450 was introduced as the new "thing" when Alan Baer took over, and since, the 6/4 topic has not been addressed at MW assuming that the 6450 is the latest "solution". 4. The 2265/2 is a hand made sheet metal horn which means it will be in excess of 20k for production time. 6. Out of curiosity, how many of you are serious about finding a MW 6/4? 7. I'm last chair too.